Summer is all about 2 things for me. SPF and fruity cocktails. In that order. 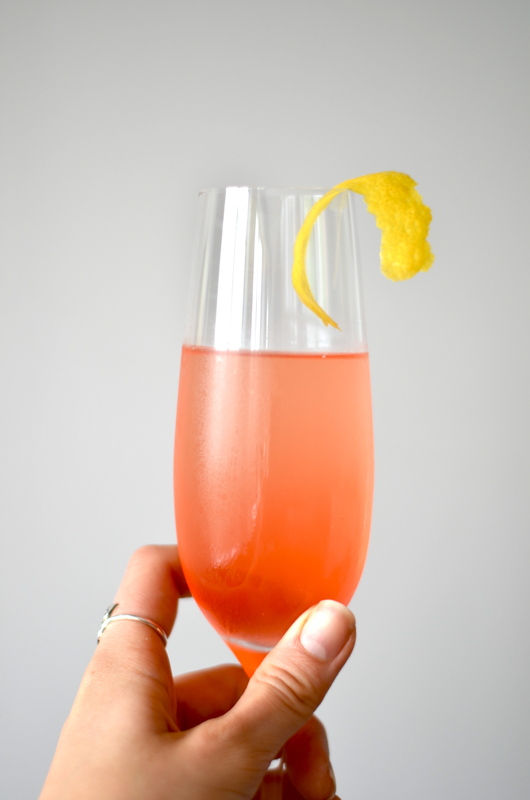 I came up with this cocktail the other day and it is hands down the Bethany drink of summer ’15. I combined all my favorite things and the outcome was light, delicious and super refreshing! 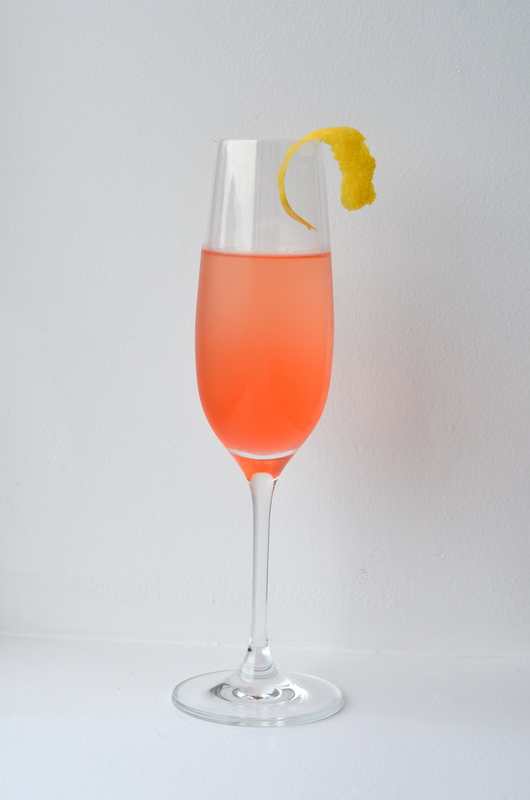 The base of this drink is prosecco (of course) followed by a splash of Campari and a splash of grapefruit Sanpellegrino soda. 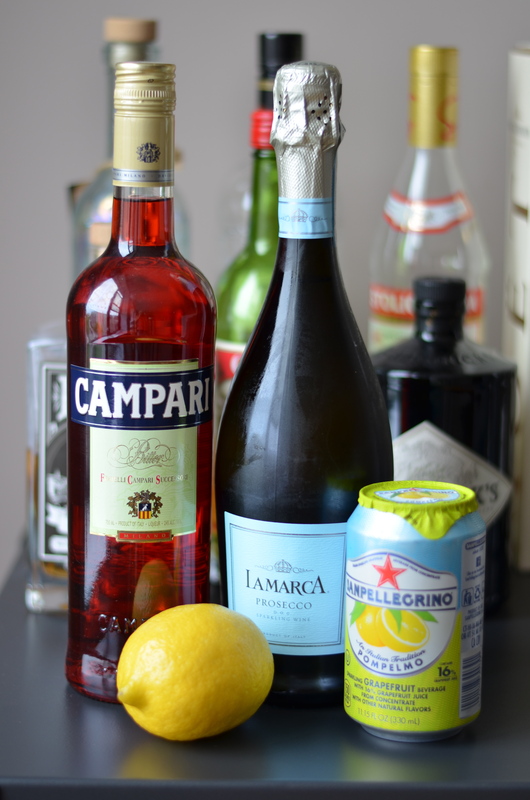 I added a spritz of lemon and garnished with a lemon peel. Yes I was home alone and yes I felt fancy all by my lonesome. It was great. Just me, my cat and some bubbly (it may or may not have been a Tuesday). Just in case you didn’t know by now, prosecco is my favorite. 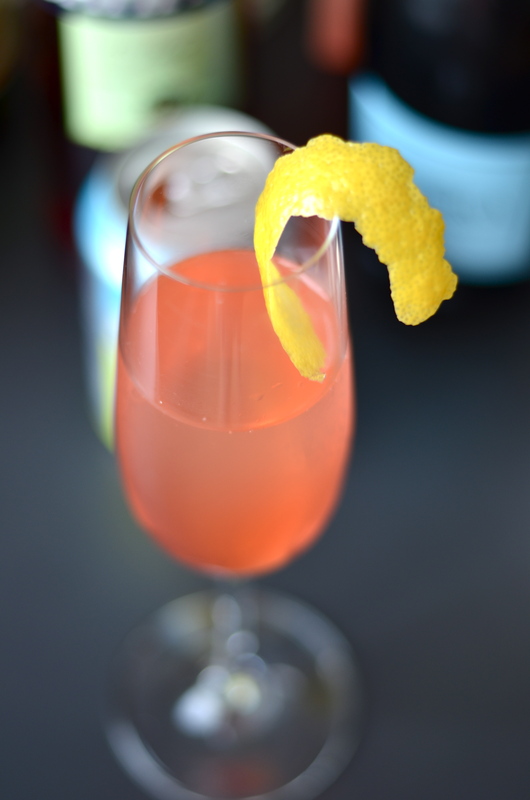 Followed closely by a Negroni cocktail and anything mixed with grapefruit. It’s super difficult to take a picture of your hand like this. I tried about 1,000 times and it was either super chubby, creepy and alien-like or the glass was tipped all the way over to the side. This was as good as I could get it. (Yes, I realize it is tipping over to the right. Drives me crazy). 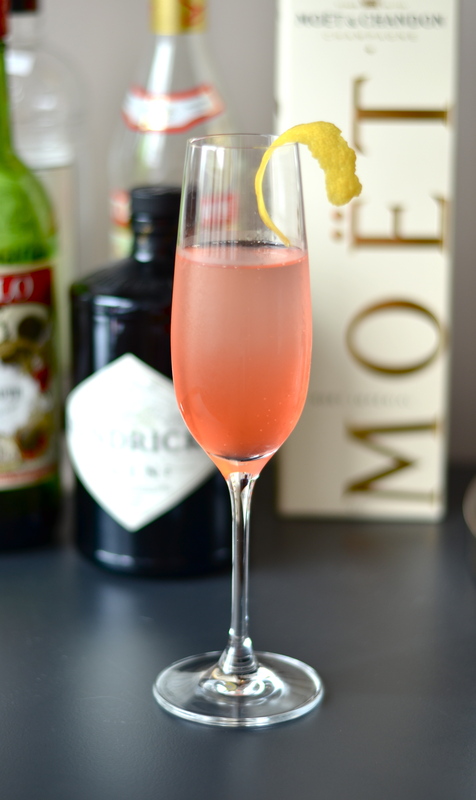 The weekend is nearly here and I can’t wait to enjoy some refreshing cocktails with friends! I hope you are surviving this week thus far and if not…make a couple of these, you’ll feel better. I promise! 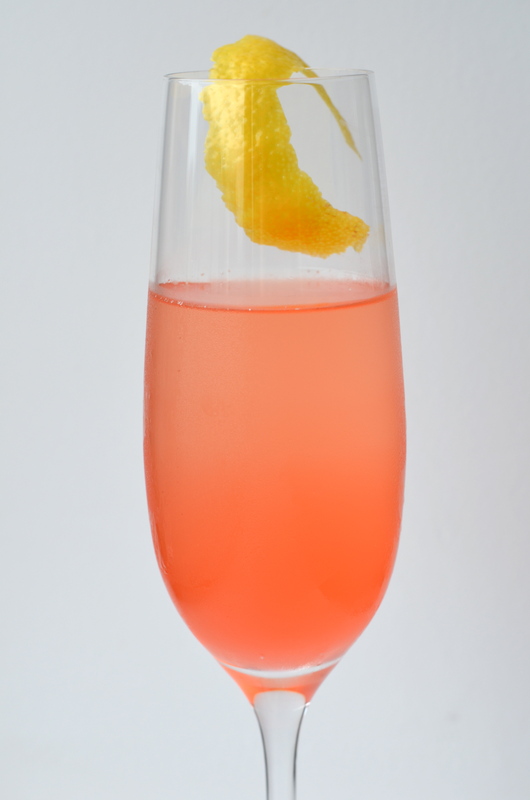 Pour Campari and soda into a champagne flute. 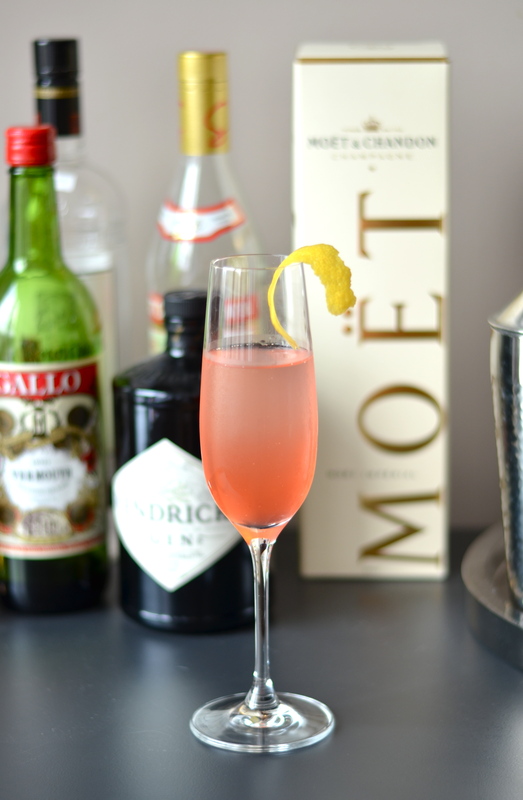 Finish by pouring Prosecco over both until you reach a desired level (about 3 ounces). 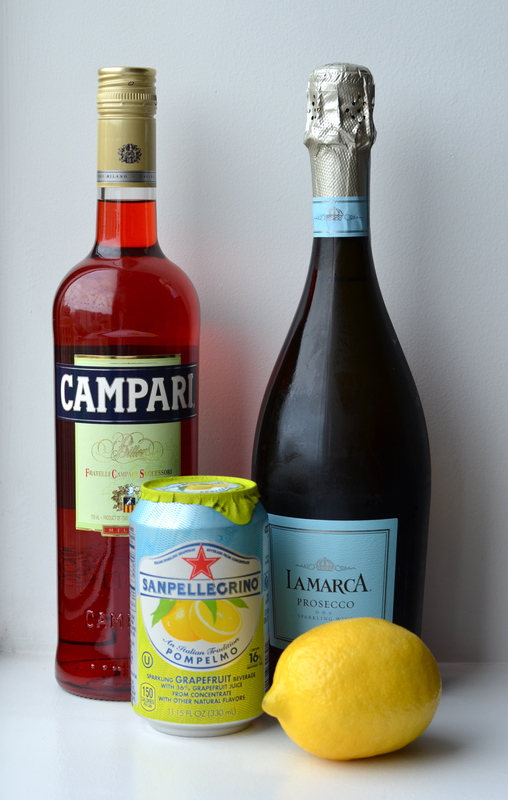 Adjust soda and Campari to taste and finish with a lemon peel/wedge for garnish. Sip and enjoy! Yum! Definitely trying it this weekend! 😉 Thanks for sharing! Sounds delicious! Please have a look at my blog, Ive just started out but it may be something you like!